According to my copy of The Golden Age of Murder Henry Wade was one of the founder members of the Detection Club which in 1930 also included Chesterton, Sayers, Christie, A A Milne, and 24 other writers now less well known (I think Milne wrote exactly one crime novel, but he was a member all the same. Conan Doyle was invited to be president but he was already unwell). 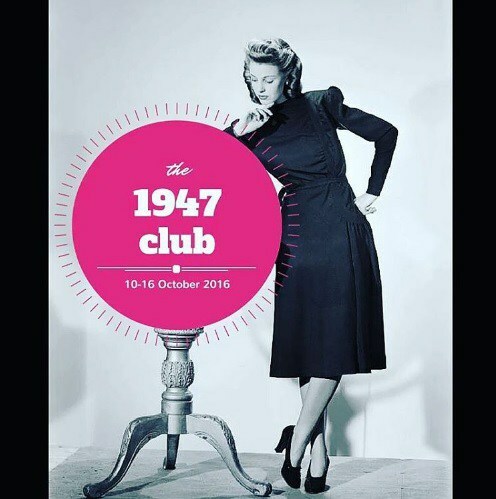 The 1947 club has been the perfect excuse for me to track down books by some of those other writers. According to the e-book I purchased – New Graves at Great Norne doesn’t seem to have had many reprints and the cheapest one on ebay is £13 plus £20 postage from the US - Wade was actually the pseudonym of baronet Sir Henry Lancelot Aubrey-Fletcher, High Sheriff of Buckinghamshire. This has no relevance to New Graves though. The story is set somewhat prosaically in a not particularly picturesque and sometimes foggy harbour town, big enough to have a church and railway and farmers market, and to sustain at least three pubs, a high street and a man with a barrow who acts as a kind of unofficial porter to the populace, but also small enough to have a limited cast of characters. A reference to the Munich ‘settlement’ places the story firmly before the war, and there may be an element of nostalgia in the four or five paragraphs where the town is described and the scene set. It's very much of the ‘tell’ and not ‘show’ style of writing; which is odd, because Wade is clearly able to build a word portrait much more subtly, and the place has a much clearer and more interesting character by the end of the book than provided by this odd AA guide style description at the beginning. So we have our setting and our cast - a fluttery spinster, a vicar, the churchwarden (the uptight, upright and austere Colonel Cherrington) a young blade living off his wife’s father, the doctor and his wife, and a ghoulish and cryptic sexton. There are others – in fact there are too many and I lost track of some of the patrons of the public houses who didn’t seem to be there except to egg each other on to gossip – but those are the ones that stood out. Then the murders start and the yard is called in and the book becomes something in the nature of a police procedural, with no real detective in the sense I expected. Detective Inspector Joss is a local lad perhaps destined for higher things, but he’s no maverick genius. Myrtle of the yard turns up to help and is met at the station, causing yet more gossip in the pubs. In fact there are six or seven police officers all told (again too many, I lost track of the less important ones) and they all go about stolidly collecting information, drinking cups of tea and eating their dinners. We meet none of their wives, but we do find out that they are good cooks. Myrtle eats his way through the dinners as well, pops back to London occasionally and tries not be too critical of the locals while having absolutely no flash of brilliance himself. Instead he investigates slowly and methodically, talking to person after person until he finally manages to stumble across someone who actually knows something. It could all be very dull, and undoubtedly would be if it weren't for the absurdly high body count. Unfortunately that only makes the police look more plodding. Myrtle is clearly pretty unimpressed with himself at the end of the book and frankly so am I. Also rather irritating is a whole subplot about a rocky marriage which is just left hanging. He may be going mad and she may be going to leave him and we just never find out. It's bizarre. So all in all I found New Graves at Great Norne quite entertaining, but ultimately forgettable. A great title to contribute to the club, thank you - what a pity it didn't turn out to be as good as hoped. The Golden Age certainly had some duds amongst the gems.